It is Groundhog Day, a day when people in the snowy northern latitudes of the Western Hemisphere will be anxiously waiting for the outcome. Will there be an early spring, or will there be 6 more weeks of winter? Yes this is Canada, the “Land of the Great White North”. By the time January rolls into February we have already experienced 8 to 10 weeks of winter, and with those brave souls further north much more. Seed catalogues are arriving in the mail with enticing pictures of beautiful flowers, and scrumptious, organic, pesticide free vegetables that I can grow and hand pick fresh from the garden. I put the catalogue down, and look out the back yard to where the garden is supposed to be, and all I see is blanket of white. Somewhere out there is my garden. 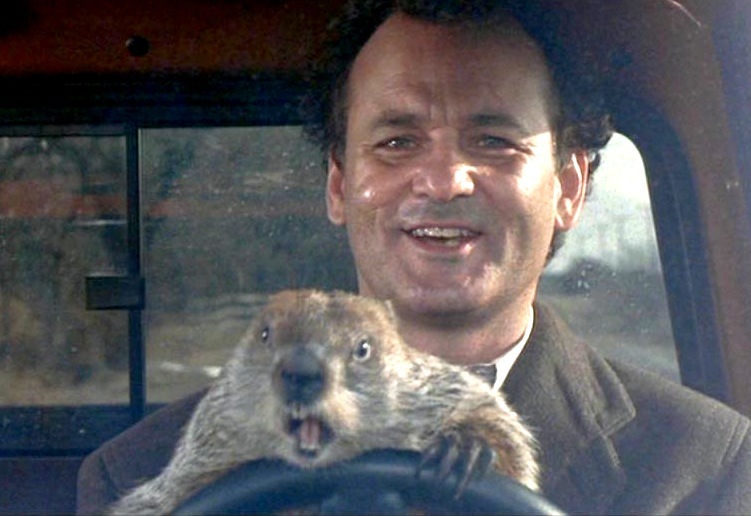 Groundhog Day, is when Canadians and people in the northern United States await the long range weather forecast. It is all folklore with a lot of fun and festivities, like the Groundhog Day festivals that some towns host. Sometimes the groundhog is correct in his or her prediction, and sometimes well the groundhog is completely wrong. 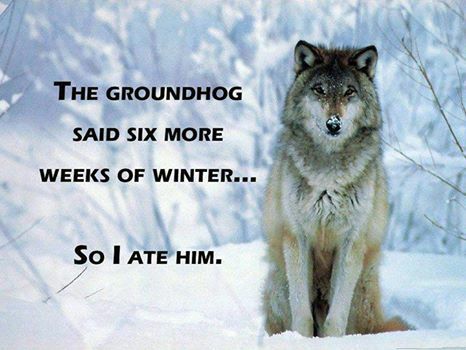 And sometimes people take the groundhog MUCH too seriously, if the prediction is NOT what they wanted to hear. Who is that old fellow, the only one “crazy enough” to be out on this deserted street, on this cold winter day? With my dear readers coming from different parts of the world, here is a little “get to know one another” assignment. 1. What country/area would you currently call home? 3. What recreational activities are popular there this time of year? The pictures I have seen on your blog of the mountains are beautiful, plus of course, following the winter Olympics just last year in Sochi, the skiing would be absolutely wonderful (and challenging for a beginner like me)…lol. I can relate to you, as I’m in Alabama! However, snow’s not my favorite! I like summer myself. My husband works up in Columbia a lot and we go with him in the summer. We love visiting there! Karen, love to introduce you to Paige, who goes WAY back to the beginning. Paige was my 3rd follower, and has always been so supportive and kind in my blogging journey. I can’t imagine what it is like without the distinct changing of the seasons. The weather here can be a chilly 20 degrees one day and 60 degrees the next during the winter months. 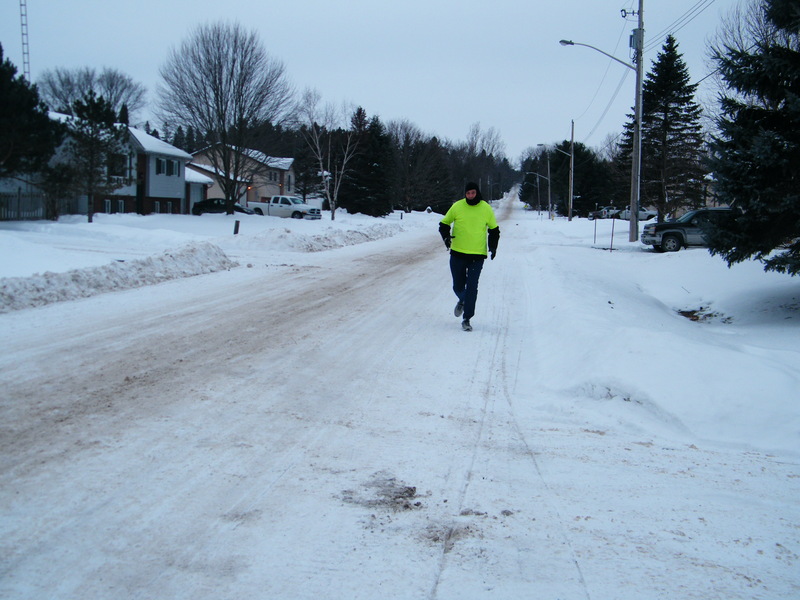 I admire your diligence in running in such cold and icy conditions, Carl! Even though winter in Alabama isn’t exactly harsh, I long for the long, beautiful, sweltering days of a southern summer. It’s my favorite season by far! Thanks so much Paige for such a beautiful, detailed response. I am learning a lot already. Somehow I always picture Alabama as that hot, sweltering, humid type of weather (your type of weather) 🙂 I had no idea sometimes the temperature dips down into the 20’s, with the occasional snow. We do have amazing snow removal crews that work tirelessly to try and keep the roads plowed and cleared. Hydro crews are always on call if there is a power outage, but still they recommend and advertise often to have preparations for a 72 hour outage. https://www.getprepared.gc.ca/cnt/hzd/pwrtgs-eng.aspx The houses here are well insulated. I can understand the concern if there is a winter power outage where you live. Good luck for your marathon! The nose is what needs it the most 😀 My busted knee ensures I can’t run more than 3k so taking it easy from the couch. I hail from India… we have a festival on 14th Jan which marks longer days and shorter nights; Makar Sankranti we call it. Winter is slowly easing off. And believe it or not, this is a season for weddings! We are virtually wedding hopping this month. OH NO, Prajakta, I was not aware of your busted knee. I am so sorry to hear this. Am glad you are taking it easy to give your knee a chance to heal. Thank you for sharing about India, and Makar Sankranti. Quickly googled it. It is so very widely celebrated, and wow, the food recipes look amazing. (I love East Indian food). There is differences, but also similarities with our “groundhog day festivals” in that it marks that winter is slowly easing off. I am picturing a wedding in India as a 2 or 3 day celebration. Would this be correct? I do feel the same way about “dreadmills”. My youngest daughter is 16, and is also a runner (always runs alone). As a father, am concerned for her safety, so I did get her a treadmill. It remains unused, and I respect her and understand why! It has happened with me before as well. There is that sinking feeling, while scrambling to “undo” before that 2 seconds, and grasping into space to retrieve those words, wherever they went. I ALWAYS love reading your posts. 3. February and March usually a popular months to go for winter holiday – like going skiing to other countries around Europe that have thicker snow and mountains. And yes, there are some people who keep running. One of them is my buddy dive, he is also preparing for half marathon in March! Best wishes for your half-marathon training Carl! Watch out for those slippery frozen roads! Good luck on your “chilly marathon”. No thanks. I currently live in Wilmington, NC. It was 63 here yesterday, and sunny. Today, the temp is falling and raining, and will be 25 here tonight. Our winter is usually fairly mild, with an occasional cold spell. We lived in Sioux City, Iowa for 7 years, so we are very familiar with long bouts of cold and snow, sometimes not seeing the actual ground from November til end of March. And I admire you out running in that cold winter scene…I’d be the one by the fire with a beer. No one spoke of your money, but it is gorgeous. So glad you showed a picture of that. Here in the US ours just stays the same. Ugly, green. LOL. Absolutely love you change the pictures. We are from the East Coast US. I am not too sure that many people go outside during the winter to do any activities other than shovel snow. Ahahaha. Younger kids play in it, of course. At this time of year most Americans do love their football. With the Super Bowl just ending. And here in Pittsburgh and many other places they also love to watch hockey. There are many teams for kids to do both as well. Weather, snowy. Snowy and cold. I enjoy looking at the snow only from the inside warmth of my home. That is my winter activity. 🙂 I am longing to give that up one day for a warm sunny beach. 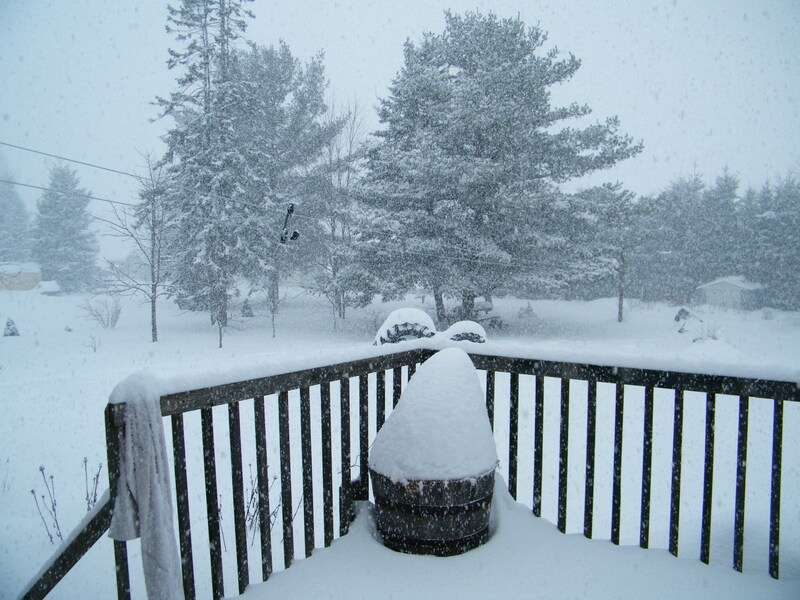 Living on the Eastern Coast like you do, you sometimes get some pretty big snowstorms. Yes, lots of shovelling. We even hear about them sometimes up here in Canada. Thank you so much for the explanation on your money…I am for some reason just fascinated by it. As you can see I am oh so traveled!! 😉 But to me it is very pretty. Ty for explaining more. LOL….how wonderful to open up my e-mail morning with this delightful response. I loved your use of pictures. Some blogs pictures are little more than emoticons. Your pictures help make your point. I am in South Point, Ohio. This is the southern most tip of Ohio, right on the Ohio River. It is cold and dreary. We are still waiting for a good snow. The one day of ice we had was a driving disaster. The mountains of West Virginia, right across the river, have skiing, but this year has been unseasonably warm. Favorite winter activity, is movies. There are a few joggers and bike riders out there, plus some hunters, but if you don’t do that the gym or exercise tapes at home is how you get exercise. Getting away to somewhere warm is the most desired winter activity. Those ice storms are brutal. We get 2 or 3 of those a winter up here, but mostly snow. The winter this year up here has been pretty seasonal. There are quite a few Canadians that do head further south to warmer destinations. Some retirees I know have a trailer or condo in Florida. If they spend the winter there, we call them “snowbirds”. And movies are a great winter activity. I just wanted to know if you’d be interested in being in an interview on my site? If so, send me your email address so I can send some questions your way. It would be featured here. http://flowersandwanderlust.com/?page_id=7098 Thank you! Thank you very much, Carl! I’ll send some questions your way today! I will send you a second set tomorrow. Your questions were touching! I might have to resend the picture the 2nd time. Sent as an attachment, but does not seem to get any bigger. That’s quite all right. It may be a few days until I can post it anyway. I try only posting one a day to keep me sane and to avoid spamming my email subscribers, haha! Thank you so much for stopping by and kindly commenting. LOVE hearing where all my blogging friends are from. Yes, you would have 4 distinct seasons. well thanks Carl – and we are not natives to this area – my husband is colorado born and so he and I know the rockies more than blue ridge and appalachian stuff. BUt we are just glad to have access to at least some elevation- and ocean too. I wish I could read all of the replies here – maybe later – but what a great share idea you have here. I hope the half went well!! I live in California, and we don’t even wear a jacket most of the time. It’s wonderful, but we MISS the snow! DC always got enough to keep us satisfied. I think Canadians are amazing. I don’t know if I’m tough enough! Yes, I think I would miss the snow, if I were to live in an area where they experience no snow. We’ve had a week of sixty degrees here in Montana! Ug. Although the warmth is nice, we’re going to pay for it in the form of fires this summer! Always wonderful having you drop by Ashley. WOW, you having warm weather in Montana. Back in the early 1980’s, in December, I remember crashing for a couple hours at a East Montana truck stop. We were coming back from the Canyonlands in Utah, and returning to British Columbia. It was SO deep freeze cold. Have never forgotten that. Thank you my friend for reading and commenting. And hoping you get some cooler temperatures and moisture. Eastern Montana can certainly be brutal. That’s the only place my engine has actually frozen while driving down the road in something like -35. Thanks for sending snowy thoughts our way! Hope you’re well! Cold, wet, snowy, icy, frosty, slushy, just plain ugly! Well there are actually people who go snowboarding and skiing in upstate New York and/or Ice skating at Rockefeller Center, however I am not one of them. Except for work and worship services I basically cocoon until the temps get above my age and considering my age that may take a while!! LOL!! I am a firm believer in hibernation. Staying under the covers with a hot chocolate by my side and some Film Noir on YouTube or Netflix is a perfect way for me to spend these nasty winter days. My favorite season is summer and when I retire in about 3 years I plan on moving to a warmer climate. Maybe the Southwest or even the U.S. Virgin Islands. As I get older I find that arthritis and winter do not mix. Even the birds have enough sense to fly south for the winter and so will I in due time. Carl, wonderful post, hopefully spring will arrive early for you this year. Actually, ha-ha, I got cold just reading this! I’m a native and a local of a coastal city in Southern California, the weather here is beautiful, as a matter of fact we are having a warming trend, mid 70’s right now, which is wonderful for winter, what more could you ask for? As far as recreational activities, the sky is the limit, because of the climate. Wishing you the best in your upcoming “Chilly Half Marathon”, stay warm! Please take good care! Thank you so much Pepperanne for your warm wishes, with such a wonderful warm comment to warm me up on this cold Canadian winter’s day. Drove down that scenic #1, camped in the redwoods, went as far as LA, then up to Kings Canyon/Sequoia National Park, Death Valley (loved this place…so different from what I am used to), Vegas, and then the Grand Canyon. As you mentioned, the sky really was the limit. Loved reading your reply. California is so beautiful. It has the ocean, the mountains, the desert. I’ve been living in Georgia the past 15 years and loving it. There are few weather restrictions on most activities here. It was in the sixties two days ago and a high in the thirties today. Golf, Hiking, Tennis you name it. I don’t run but I love to walk the local neighborhoods and park trails. Any sign of snow in these parts constitutes a state of emergency!. Hi, back again. I felt comfortable here, in your blog=space. I miss home, Oroville Wa. I hear it’s still winter there too. I am cuttently in Reno Nv. helping family. Thankyou for the follow, and I will have to stalk you too. So glad you feel home here Rusty, especially with you being away from home. Washington would certainly be different from Nevada,, and I am sure you would miss the seasons. So good of you to assist your family, sincerely hope everything is going to be okay! But i’m in Brooklyn, NY and the weather has been FRIGIDLY cold lately. Some days it goes up to the low 30s, but there have been many days where it hasn’t even left the teen numbers. CRAZY winter this year! But i hope that these longer days & warmer sun rays means that spring is approaching soon lol. Great post!! Thank you so much Shanika, so wonderful of you to stop by to read and comment. It really has been a crazy winter. I have been checking the weather forecast each day to see what the run for Sunday will be like, and figuring how I should dress. Will definitely be an interesting experience. The days are getting longer, spring days are approaching soon.